Suffolk County Police today arrested a motorcyclist who was driving more than 100 mph on the Long Island Expressway this morning. Islandia, NY - July 8, 2015 - Suffolk County Police today arrested a motorcyclist who was driving more than 100 mph on the Long Island Expressway this morning. An anonymous person called 911 at 8:10 a.m. to report a motorcyclist speeding on the Long Island Expressway near Exit 51. Highway Patrol Officer Thomas Joy spotted the motorcyclist near Exit 55 and put on his vehicle lights and attempted to pull over the motorcycle. The motorcyclist accelerated and began weaving in and out of traffic. The motorcyclist exited at Exit 58, crossed over the overpass and entered into a worksite, located at 3701 Expressway Drive North in Islandia. Motor Carrier Safety Section Police Officer Robert Copozzi observed the motorcyclist pull into the site and apprehended him. 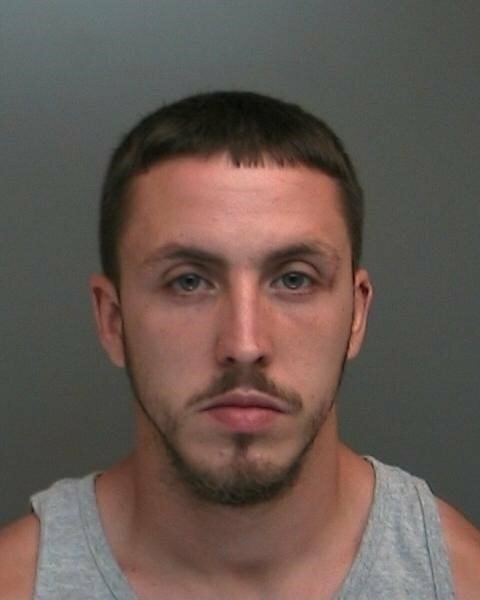 The motorcyclist, who was identified as Christopher Rios, 25, of Massapequa Park, was arrested and charged with Unlawful Fleeing of a Police Officer, Reckless Driving, Aggravated Unlicensed Operation of a Motor Vehicle and multiple vehicle and traffic law violations. Fourth Squad and Property Recovery detectives are continuing the investigation. Subject: LongIsland.com - Your Name sent you Article details of "Massapequa Park Motorcyclist Arrested after Driving More Than 100 MPH"